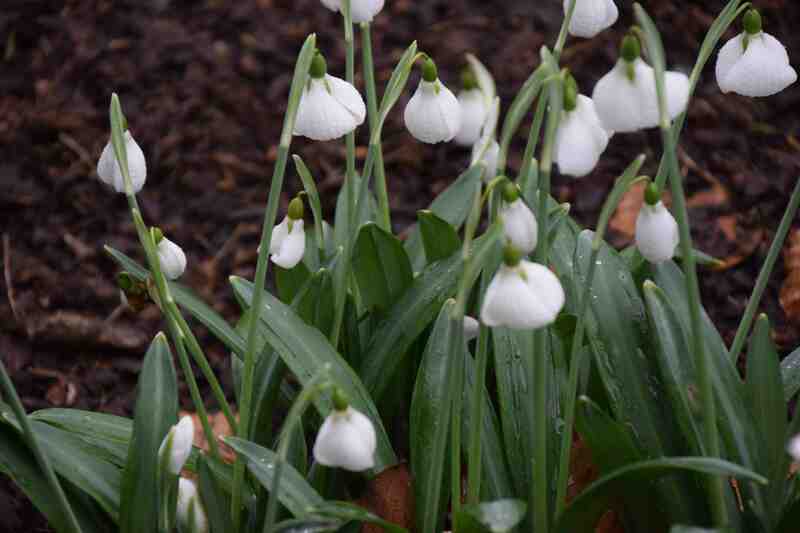 Some people are scared of spiders or terrified of mice but I am frightened of snowdrops (galanthus). The reason is that there are so many of them (there are more than 660 listed in the RHS Plantfinder) and the differences are so small that it is almost impossible to tell some of them apart. Of course, galanthophiles, (those that love snowdrops) may profess to know them but what makes getting to know snowdrops well so difficult is that they are only in bloom for a short time and you have to learn everything again in a few weeks in early spring. 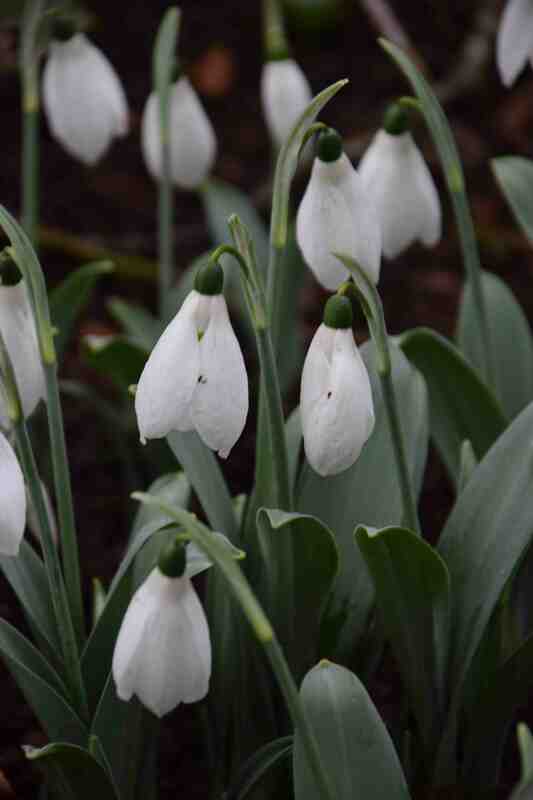 I know this because of my time at Myddleton House where I had to try to identify the millions of galanthus that remained from the outstanding collection built up by the late E A Bowles. Typically, snowdrops have three outer, unmarked petals and three, smaller, inner ones that have a green inverted V at the tip. The inner segments may have additional green marks or be almost all green. Then some flowers have extra inner petals and are variously doubled and the size of the flowers varies considerably. The way the flowers are held (the length of the pedicels) can vary and then there are the leaves. There are three types of leaf placement. Mature bulbs usually produce two leaves. In the simplest format, as in Galanthus nivalis, the two flat leaves emerge from the soil, though the sheath, with each pressed flat against each other (applanate). In others, typically G. elwesii, one leaf emerges wrapped around the other (supervolute) and these leaves are usually much wider. And in the third type the leaves are wide and the edges are folded back at the edges as they emerge through the soil and open out almost flat (plicate) as in G. plicatus. Today I had the pleasure of visiting the beautiful Altamont Gardens, north of Bunclody which I have posted about before but which is in the middle of its ‘Snowdrop Week’. 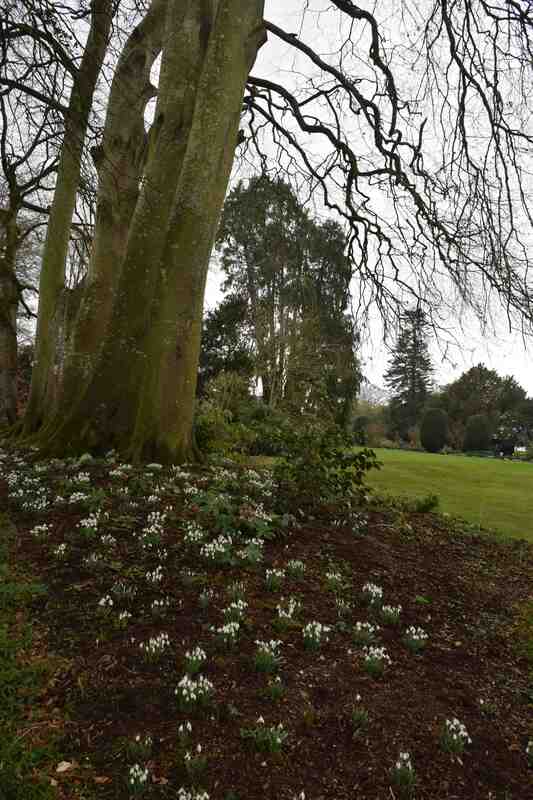 Altamont has one of Ireland’s best snowdrop collections open to the public and it is free. I apologise for the quality of the photos, taken in a bit of a rush in horrible conditions. I have not verified these names or done much research on them and include just a few that caught my eye. ‘Warley Bell’ attracted my attention because of its name. I assume it must have something to do with Warley Place in Essex, the garden made famous by Ellen Willmott who was a friend and contemporary of E A Bowles and they frequently visited each other. It is obviously a G. plicatus hybrid and is like most of the hybrid swarms at Myddelton. A few snowdrops are so distinct that they cannot be confused with any others. Among these I would include ‘Viridapice’ which has small green marks on the tips of the outer segments, ‘Scharlockii’ which is similar but has long spathe ears and the serenely beautiful ‘Poculiformis’ which has all outer segments. But to these I would add the curious ‘Diggory’ which has flowers that start by looking very ordinary but then ‘inflate’ as they open. 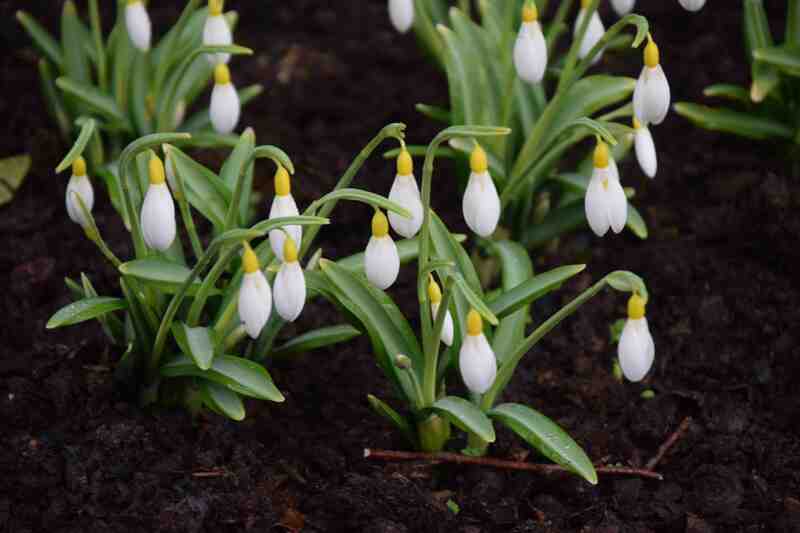 Galanthus elwesii is pretty common and is loved for its showy flowers and lovely grey leaves. ‘Helen Tomlinson’ is a particularly good cv with gorgeous leaves and big blooms. Despite all the variation in snowdrops you basically have combinations of green and white but there are a few that offer yellow shades. ‘Wendy’s Gold’ is one of the best of these because although it is still uncommon it is not ridiculously expensive and with its golden ovaries and markings it is showy. 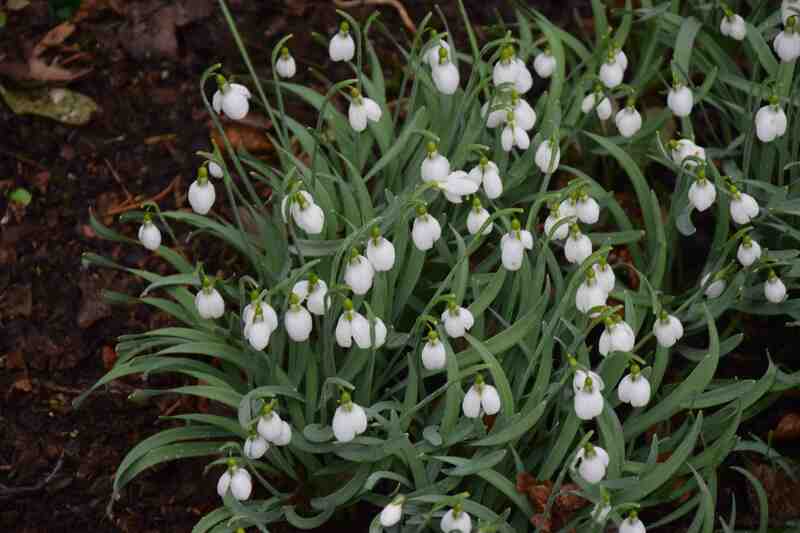 But the snowdrop that really stole my heart was G. gracilis. Although the flowers are fairly normal you cannot fail to notice the way that the leaves gently swirl around in a clump. 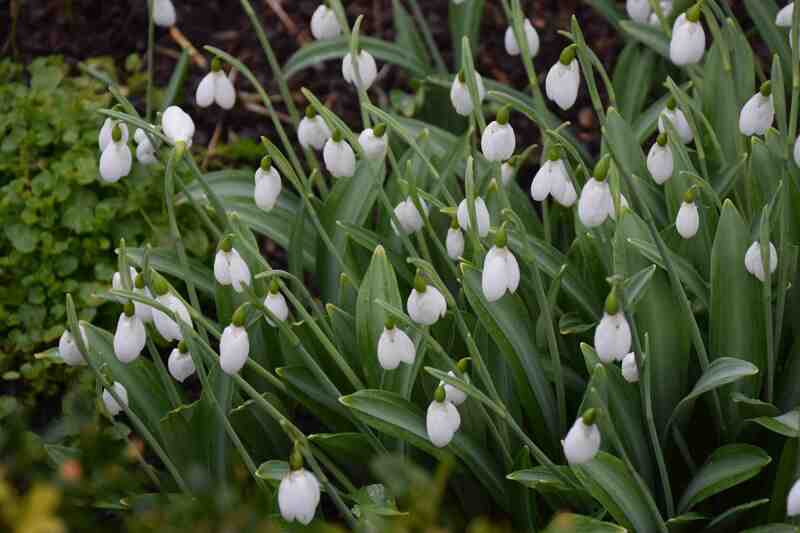 It is subtle but, compared to the chaotic clumps of the surrounding snowdrops it stood out like a beacon. A beautiful plant that is, apparently, closely allied to G. elwesii but I can’t quite see how bearing in mind its applanate leaves unlike those of G. elwesii. * The garden is off the n80 between Tullow and Bunclody and is opposite The Forge restaurant (which offers tasty fare). There is a small nursery which always has a diverse and interesting range of choice plants and at present has some exceptional hellebores including Harvington Hybrids. You will see a few of those I could not leave without soon. Prices vary from about €20-45. There were also a few rare snowdrops for sale. 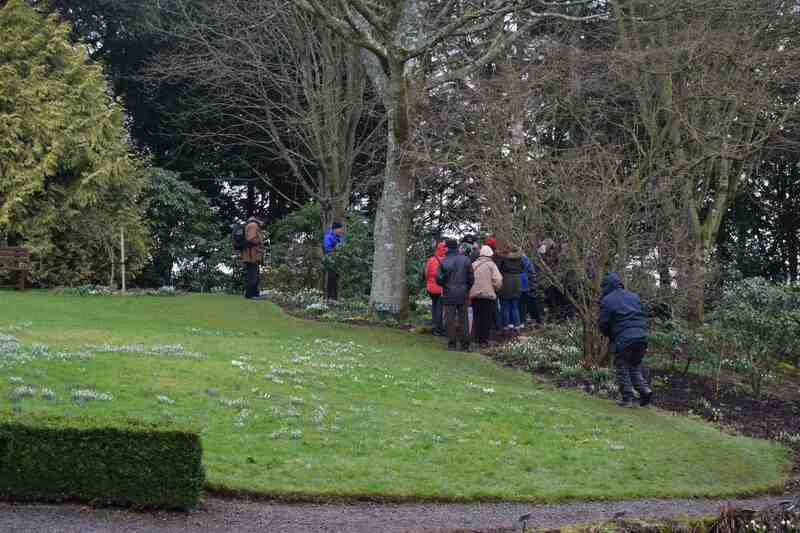 The snowdrop week runs from 9-15 Feb but the snowdrops look as if they will look good for at least a week beyond that. A lovely post. I love them all but I shan’ t rest until I add Diggory and Wendy’ s Gold to my collection. Thank you 🙂 They didnt have either for sale and I dare not think how much ‘Diggory’ might cost!